The 5x3 structure is very common in slot machines and has been used ever since people moved on from the one lined, 3x3 games. Twenty paylines is an optimal number which can be seen in a lot of machines lately, whenever they do not have the ways to win system implemented. Allowing gamblers to adjust the number of those winlines was the right thing to do as well because it gives a chance to the low-betting part of the community to place bets as low as $0.01. Online slots with more than one jackpot, especially if they are progressive, are much more popular compared to those who have none, no matter how high or low the RTP is. The difference in value between the bronze and silver is huge, while the gold one is usually double or triple the value of the silver jackpot, meaning that each consecutive phone symbol brings huge value to the table. The Pick Me Microphone bonus is activated when a mic sign appears on the 3rd reel. The goal is to find the star behind the three cards, on the first guess. Whenever three CD Scatter icons land on columns 2, 4 and 5, the free spins feature is activated. Sticky wilds get activated as well, automatically, appearing on the first spin randomly. They are removed only at the end of the free spin feature. Playing free version of the X Factor Jackpot casino slot machine is fun, but once real money gets involved, it gets even more interesting. The main reason why is that none of the jackpots are available in the free version. It would be pointless, indeed, because demo credits can be reloaded by simply refreshing the game. The third one is optional, but the first two are absolutely crucial. Getting 100, 200 or even 300% of the initial money invested means a lot even for those who make deposits at the lower limit. You get two to three times more money, which means winning chances increase overtime, because of the RTP/House Edge system. The more you play, the more you are likely to strike a good combo. Keep in mind that all of the bonuses are conditioned, and before requesting a payoff, each player is required to gamble a certain amount of money or play enough spins, depending on the casino rules. 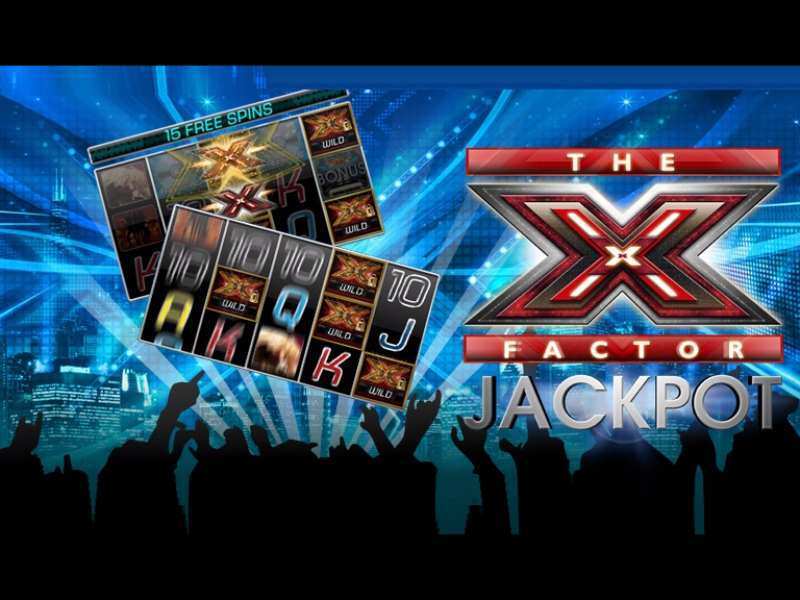 Play X Factor Jackpot online and find out! If you are a fan of the show, then this game is definitely for you, because all of the key elements from the original contest are portrayed perfectly in 3D graphics and animations! The Music bonus round even includes voting, where players need to find the majority of the “Yes” signs in order to proceed further in the competition and win valuable prizes. If there are more No’s than Yes’s, then phone voting is your only way out, but it is usually a very rich way to go out, no matter the outcome, because of the multipliers and jackpots. Fruit Shop Christmas Edition Slot is yet another 3D machine, this time from NetEnt, which has a major jackpot included. The machine features 5 reels and 15 paylines, with a huge betting range, which makes it very similar to the X Factor slot. 0 responses to "X Factor Jackpot Slot"
3 Do You Have the X Factor?